Hiring a household moving company to assist you move into your new home means trusting them with your family’s valuable property – including costly, priceless and irreplaceable pieces with sentimental value. With this in mind, we, at Ocean Star International (OSI), treat every relocation plan as our own and meticulously supervise every detail of your move to ensure the quality and timely delivery of your goods. Size, weight, quantity and distance are also no problem to us. Our logistical services and network of global affiliates allow us to transport virtually anything to accommodate your domestic or international moving needs. Many have fallen victim to delayed deliveries, damaged property and even lost valuables. For your peace of mind, trust a credible household moving company with the experience, resources and integrity to properly manage the delivery of your family’s possessions. 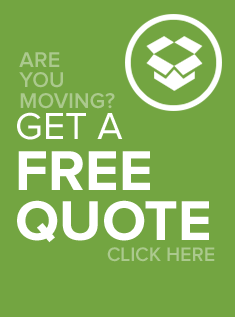 Choose OSI and contact us today to get in touch with a household moving company specialist. We understand how tough it is to make a move and that’s we go out of our way to ensure our customers get the best possible treatment with each and every single moving experience. Customer care and customer service is our number one priority from beginning to end. We want your shipping experience to go as smoothly as possible. After all, we are sure you have plenty of other things to worry about with so much going on. Having to worry about your personal effects should be the least of your problems. So don’t hire some shady moving company that no one has heard of or has a terrible online reputation. With Ocean Star International, you can feel safe knowing that we will treat your household goods just as well as the jobs we do for the military and the government. That’s right, we are a Government Approved Contractor and that means we are held to the highest standards of service. If we can handle moves for our nations finest, rest assured that your families belongings will be safe with us.